The WordPress Classroom began as a WordPress skills training site. Luckily for his members, Matt Wolfe was looking and building for the future. WordPress Classroom offered you The Best WordPress Training on the Internet. Now Matt Wolfe has partnered with the Expert Blogger Bradley Will to launch a brand new website called “Learn To Blog.” Learn To Blog includes all the training from “The WordPress Classroom” with more even more training on the existing topics. He has partnered with Expert Blogger Bradley Will to provide the best blogging information on the Internet. I work part time for Matt as the Forum Moderator and I really love helping folks in there. I owe a great deal to The WordPress Classroom. Before I was the moderator I was just a member watching all of the videos and visiting the forum for good advice from the many members and Matt of course. Then I had a good idea on how to learn a great deal more. I challenged myself to answer questions on topic I did not know the answers to. I had to investigate the solution to the problems before I answered. This has increased my knowledge of WordPress and marketing in general a great deal. About 2 years ago Matt was looking for a forum moderator. I wrote him a note with my background, what I had been doing on a daily basis in the forum and my contact information. A few days later he called and we talked for about 20 minutes and he hired me. The great thing is that as a moderator I am still doing what I was doing, I’m just getting paid for it. I am glad to be part of this expansion and have been asked to continue my moderator duties. Now that you know my background with the WordPress Classroom and the evolution to Learn To Blog, below are the courses that Matt has available for all the members and what I think about each of them. This is your starting point. If you’ve never set up a site before, we’ll walk you through the very basics of getting your first website online with WordPress. Expect to be online within about 20 minutes. Jay Mueller says: This course teaches you everything you need to know to get a domain name, establish website hosting, adding the WordPress platform to the site and basic skills of the administration panel where you do things to the site behind the scenes, adding a theme and basic trouble shooting techniques. These are skills that everyone owning a website should have in their toolbox. There are 14 videos in this course so far. In this course we’re going to take things to the next level. Once you’ve got the basics down, we can begin to build on what you’ve learned. Let’s add some cool features and functionality to your site. Jay Mueller says: Now the fun begins, making your website an extension of yourself. Adding widgets, adding an Opt-In box to obtain names and email addresses for email campaigns to make sales, adding key plugins for SEO, XML sitemap, adding an avatar, and a whole bunch of cools things that makes it your own site. There are 31 videos in this course so far. Building even further on the last two sections… This is where we’re going to begin digging really deep in to some of the more advanced capabilities of WordPress and how you can implement them in to your website. Jay Mueller says: This is an exciting area for WordPress site owners. This has a bit of everything for your site, how to clone your site, creating a Child Theme and why, creating a landing page for FaceBook, creating a FaceBook Fan Page, create and add a feature box to you site, make a custom log-in page, how to increase the WordPress media file size, add and remove sidebars, and scheduling blog posts. Kind of an everything but the kitchen sink sort of area. There are a bunch of jewels in here. There are 26 videos in this course so far. One of the best aspects of WordPress is that you can easily change the look and feel of your site with a few clicks of the mouse. In this course we’re going to discuss different ways to get the exact look that you’re going for. Jay Mueller says: This section includes Changing your Header Image, Creating a Custom Theme with Artisteer and adding a Custom Theme to your site. The area is small, but even with the 3 videos there is a wealth of information in here and I’m sure there will be more added. There are 3 videos in this course so far. The functionality of WordPress is extended with WordPress. You can add so many features and extend WordPress’s capabilities using plugins. In this course we’re going to explore the variety of plugins that are currently available and show you how to set them up. Jay Mueller says: Matt covers some key plugins that everyone should use and some fun ones that you may want to add just for your readers. There are 8 videos in the course so far. With your blog online, it’s time to get some content in there. In this section we’ll talk about types of content and how to get it online. Jay Mueller says: For any website having great content on your site is the main reason for continued readership. It is always the trump card for good website ranking. For as many changes there are in Google and other site ranking methods, having original and unique content is always top dog for site rankings. This is a very important course. There are 31 videos in this course so far. Don’t let hackers or spammers destroy your website. Take precautions to protect the asset that you’re building. Use these security tips and tricks to make sure that you are safe in the event that someone or something tries to take down your site. Jay Mueller says: No matter what topic or how many readers you have, hackers will always try to destroy or takeover ownership of your site. It is a wise practice to remove any spam comments, keep all of your plugins up to date, take care in the choice of your login ID and ensure you have a complicated password that will be difficult to break. This course helps you through all the stumbling blocks that all website owners face and how to set up your site to prevent them from happening. There are 12 videos in this course so far. This section is all about how to get people coming to your site. You’ve created your masterpiece but you need visitors. This is how. Jay Mueller says: The methods and practices to obtain a constant flow of traffic is a never ending category. There are new ways for creating traffic to your site developed on a continual basis. The key methods that are proven to work are included in the course. Pay close attention and implement ALL of them. There are 16 videos in this course so far. 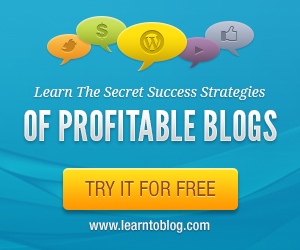 In this section we discuss various ways to monetize your blog. You’ll learn some tips and tricks to make some money with your blog. You can stretch these as far as you want. Make some side money here and there or build a blog empire that pays the bills. Jay Mueller says: Most marketers are in business to make money with their site. Some have total eCommerce sites for selling products only. Almost every site has some sales or affiliate links on their site. This course shows you numerous ways to make money with your WP website and how to add payment options like PayPal too. The good part is that all of them work. Have you ever thought about setting up a blog site, setting up the SEO for it and then flipping (selling) it for profit? There are 15 videos in this course so far. In this series of videos, I discuss niche research as well as creating content for niche blogs, monetizing niche blogs, and generating traffic to niche blogs. Jay Mueller says: Find the right niche for your site, understand the difference of Market vs Niche site, and find a profitable niche. You’ll need the right balance for something you like and making money. There are 3 videos in this course so far. Ever wondered how to create a membership site? In this section we’ll discuss how to create a membership site that only allows access to registered members. We’ll also talk about setting up payment processors and forums to really dial in your membership. Jay Mueller says: If you want to build a safe and secure Membership site to provide recurring income for your business, this is the course you are looking for. Your membership site can be simple as Matt’s first membership site for WPC. WPC used to be FREE for an Opt-In. It only contained 17 videos for beginners wanting to use WordPress to build a site online (this is when I joined), to the WPC of today. Blog, Fantastic Forum (I’m the main moderator), Custom plugins, Custom WP themes, Bonus Training, Product Reviews, 18 Training Courses of around 150 videos (and growing), Terrific Support Desk. Learn the techniques to build effective sales pages and effective squeeze pages using WordPress. In here you will find videos on how to develop these types of pages without special plugins or tools as well as methods that do use some premium tools. Jay Mueller says: The key thing here is that Matt uses the WordPress platform to create these sales pages. I remember not long ago struggling to create sales pages in html because it was the only way at the time. WordPress has come such a long way in a short time. There are 5 videos in this course so far. Matt even covers how to add your PDF to a download link. One of the largest opportunities in learning WordPress is the fact that you can take all of this knowledge and sell the service of building blogs for others. It’s not unheard of to make five to six figures per month selling WordPress installs and maintenance. Jay Mueller says: Conner Gallagher is producing this course. He is adding videos on a routine basis and I must say that I AM VERY IMPRESSED with his knowledge and training skills. Current video titles are: Introduction, Hosting Considerations, Overview and Client Finding, The Video Review Method, Generating Clients with Forums, Telemarketing the Easy Way, Building the Client Site, Local SEO. Two weeks ago there were only two videos here. Who knew that building a presence for an internet marketer and for a local offline business would be different? I sure didn’t. This is the course for brick and mortar business owners. You’ve got your business and you’re looking to extend it on to the internet so that you can get it in front or more eyeballs or possibly create new revenue streams. A course for the tinkerers – If you just need to know what’s going on behind the scenes of your blog, this is for you. Learn how to tweak the code to get WordPress to do even more things specifically for your needs. Jay Mueller says: As I build websites for people it is always good to stay up to date on how to tweak the code within WordPress to get exactly what my client wants for the look of the site. So, this is my favorite course in the classroom. Matt Wolfe produced some of these, but he brought in an expert in the field. Steve Dougherty who is a real techie guy, has spent a great deal of effort in providing individual step by step instruction videos for this topic. I do not know of any other website has these technical skills built into other training. There are 18 videos in this course so far. Any online marketer knows the saying “The Money Is In The List”… Well in this course we’re going to discuss the different strategies and angles you can use to build your list using your WordPress website. Jay Mueller says: There are so many ways to build your all important client email list. Trust me, the course does not include all of them because there is such a wide variety methods. But the course does include the most valuable (bang for the buck) methods for building you list. The major portion of ALL sales online comes from email marketing. Yes it is an important part of marketing online. There are 4 videos in this course so far. But I’ve seen suggestions in the forum for more individual “how to do’s” in this area. Yes, as a member you can ask Matt for specific videos. I don’t know of any other marketer that provides this service. Learn from the experts. In this section you will find interviews from bloggers that are making things happen. These are the people that have figured out how to make WordPress work for them. You’ll learn traffic strategies, monetization strategies, and much more. Jay Mueller says: This is a new area in the WordPress Classroom even though Matt has offered several Podcasts to readers of his “Business and Blogs” website, as well as, WPC members. There are 0 videos in this course so far. See WordPress set ups in action. In the Case Studies section we’ll look at successful and unsuccessful WordPress ventures and attempt to analyze exactly why they saw the results they saw. Jay Mueller says: This is another new area in the WPC. Again, Matt has provided Case Studies in his blogs and even in PDF format. It will take time to provide the same in video format for this site. I am eagerly awaiting each of these videos. It is a firsthand look on what works, how well it works or if the method doesn’t work at all and why. There are 0 videos in this course so far. I will be updating this page with all the new courses as soon as I have completed them. I’ve only watched three of the Blogging videos as of this writing and have learn a lot of mistakes that I have been doing and I’ve been blogging for years. Bradley will is a genius! MORE TO COME!